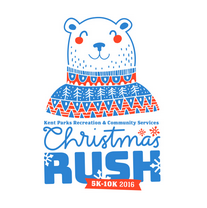 Registration is now open for Kent’s 34th annual Christmas Rush 5K/10K Fun Run/Walk, scheduled for Saturday, Dec. 10. The event will begin and end at Hogan Park (24400 Russell Rd., Kent, WA). Kent Park’s program coordinator Mark Hendrickson said the 5K has been modified. It will take runners along the Riverbend Golf Course as they return to the finish line. The 10K makes a loop through the Kent Valley, between Meeker and 212th Streets. The 5K and 10K participants’ paths will not cross until the last 100 yards of the race, according to Hendrickson. The race will include prize drawings and awards for the top five finishers in each age group. There will also be special activities and vendor booths. Registration is now open online at Active.com. Registration forms are also available at Kent Commons (525 4th Ave. N, Kent, WA) and many area athletic stores. 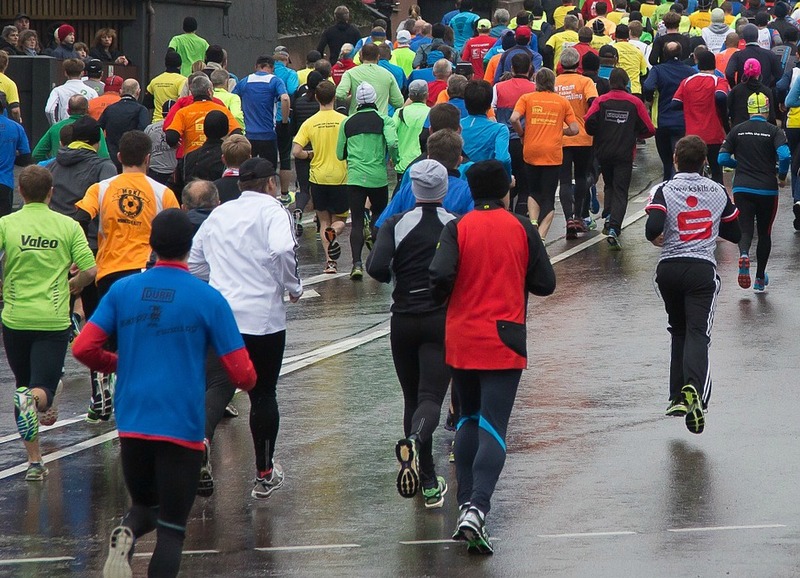 Avoid the lines on race day; pick up shirts and bibs at RoadRunner Sports at Kent Station, Wednesday, December 7, 3 – 7 p.m.
Race day registration and packet pick up is also available near the start/finish line at 8 a.m. Parking is available at Hogan Park at Russell Road, 24400 Russell Road; Neely O’Brien Elementary School, 6300 S 236th St. and Kent Elementary School, 2470064th Ave. S. Please allow for an additional 5-10 minute walk from each parking lot to the registration/starting area. Staff will be on site to provide guidance. Call 253-856-5050 for additional information or visit the City of Kent website for more details.